This weekend marks the 68th annual Scientific Session of the American College of Cardiology, being held in New Orleans, Louisiana March 16 — 18. Here are some of the interesting findings released on Saturday. Novartis announced results from a 4-week extension of the landmark PIONEER-HF trial. Data from the 8-week double-blind PIONEER-HF trial, first presented in November 2018 at the American Heart Association Scientific Sessions, showed the benefits of in-hospital initiation in appropriate stabilized patients of Entresto tablets on a systolic heart failure (HF) biomarker, safety and clinical outcome. In-hospital initiation of Entresto, compared to enalapril, resulted in reduction in an exploratory serious clinical outcomes endpoint from week 8 to week 12, and safety and tolerability at 12 weeks were comparable for patients who began Entresto in the hospital and those who switched from enalapril at 8 weeks. Edwards Lifesciences announced that the results of the randomized PARTNER 3 Trial demonstrated superiority for the SAPIEN 3 transcatheter aortic valve over outcomes with surgery. 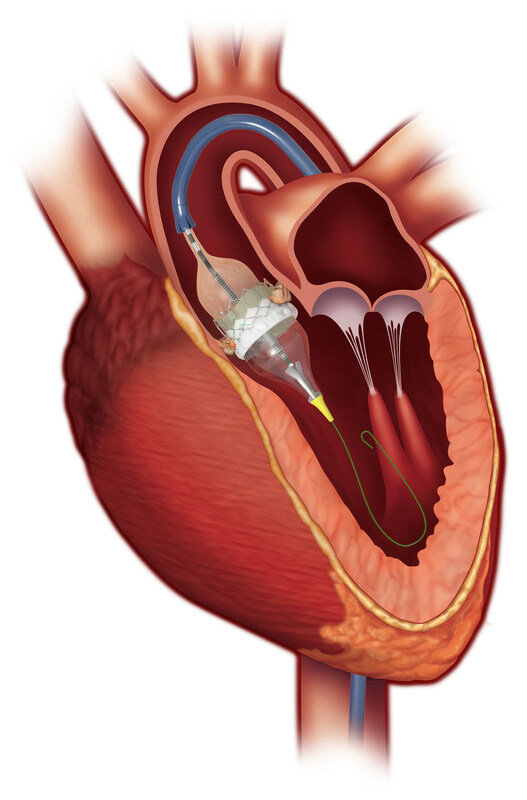 The trial, which compared treatment with the SAPIEN 3 valve to surgery in patients with severe symptomatic aortic stenosis (AS) at low risk of death from surgery, achieved superiority of its primary endpoint at one year. The results of the trial will be presented on Sunday as part of the late-breaking clinical trials. Results were presented from a self-enrolled study of Apple Watch wearers who were flagged for pulse irregularities from the wearable device. The Apple Watch and corresponding Heart Study app uses photoplethysmography to intermittently measure blood flow activity and detect subtle changes that might indicate an irregular heartbeat. A tachogram is then created and is analyzed by an algorithm. The aim of the study, presented by Mintu Turakhia, MD, MS, was to identify patients with an irregular pulse watch notification who have AFib on a subsequent electrocardiogram (ECG) patch. A pulse notification was received by 2,161 participants (0.52 percent). Patches were sent to 658 participants and 450 were returned and included in the analysis. AFib was identified in 34 percent of those who received a notification and wore the ECG patch.